Jessie Trice Community Health Foundation, Inc. (“JTCHF”), a not-for profit 501 c 3 organization organized in 1985 to promote the provision of medical care, treatment and health education to the general public and to support Jessie Trice Community Health System’s initiatives to reach underserved and uninsured population. The Annual Fund Provides JTCHF with the financial resources that narrow the gap between actual operating costs and what underserved and uninsured patients pay for services. By supporting programs and services inside and outside the clinics, gifts to the Annual Fund help maintain the excellence for which JTCHF is known. Individuals, Families, Corporations and Foundations may become donors. A donor has the choice of where his or her contribution is directed – patients services, staff support, outreach programs, medical equipment purchases, facility expansion. An unrestricted gift to the Annual Fund is used to support the greatest needs of the organization. Why is every Annual Fund gift important? 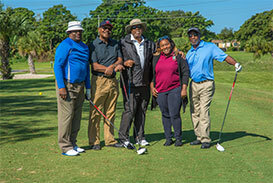 The organization relies on the Annual Fund to provide dependable and vital revenues for operating expenses and other resources that directly affect the quality of services provided to underserved and uninsured patients. Also, by making a gift, you increase JTCHF chances of receiving grants from other sources that consider this percentage important when deciding which community health center to support. Help pave the way for future generations and become a part of the rich history of Jessie Trice Community Health System. With more than 46 years in service to Miami-Dade residence and more than 30,000 patient base, this is a unique and memorable opportunity to remember and record significant moments or people in your life. For $200 each, you may designate a brick to be engraved with your name or you may make the inscription in honor of, or in memory of, a family member or individual. Personalized bricks engraved with your name or a personalized message creates a distinctive, elegant impression and is a unique way to receive lasting recognition for your generosity and support. Personalized bricks engraved with your name or a personalized message creates a distinctive, elegant impression and is a unique way to receive lasting recognition for your generosity and support. Donated bricks will be found along the arcades and entry ways. This location was selected to maximize exposure for donors who commit to the Brick Legacy Program. A business name, a family name(s) or content up to four (3) lines of fourteen (14) characters per line can be etched into the brick. Above is an sample what the Brick wall will look like. Naming rights give donors an option to name section(s) of the newly developed JTCHS corporate complex. Naming rights starts at $5,000 and up. Additional information will be provided for interested corporate sponsors or individuals who are interested in paying for these rights. Purchase options today at the link provided above. The donor wall located on the ground level of the new corporate headquarters is compromised of series flat sculptural units. These units take the form of a house frame with a sun, a palm tree and an abstracted representation on a family. This image in a general way refers to the essence of what the artist perceives to be the founding concept of community health care: to provide health services to families and individuals which insures the success and growth of local communities. The natural outdoor environment along with holistic color therapy is commonly recognized as essential ingredients in preventive health care practices. That Healin' Feelin" has two components which will create a artistic environment which to refers to bright colored plants, flowers and trees and water. The designs are meant to communicate to pedestrians; vehicular traffic and facility staff the benefits of nature in maintaining good health. Divided into the traditional stained glass format of three narrative sections, Sankofa for Brownsville is a whimsical drawing with color depicting the artists' interpretation of energy and vibrations of the Brownsville, Allapatah and Liberty city communities. The sun is an enduring symbol of health, the sub-tropics and vigor. In this drawing, the sun, with the face of a black person or African sculpture, is positioned in the center panel and spreads its energy in scattered forms throughout the image. Other images are of; the rod of Asclepius, an ancient symbol associated with healing and medicine, the Sankofa bird, a West African symbol which refers to historic reflection, and artist renderings typical bungalow style houses with images of community residents floating throughout the design. Above is an artist’s rendering of the Sankofa for Brownsville. Baby showers are traditionally held to shower the expecting mother with gifts to help welcome her new baby into the world and as a family bonding event. Many of the expecting mothers in the communities that we serve sometimes don’t have the means or family support to have a baby shower or if they do, they don’t have an adequate of supplies for themselves or the baby after the initial gifts have run out. Who gives to the Community Baby Shower? The JTCHF Community Baby Shower is an ongoing initiative that supplies mothers and babies in need of necessities such as diapers, wipes, bottles and clothes among other things. Why is every Community Baby Shower gift important? Every donation, no matter how big or small will help a mother or child in need. The primary objective of JTCHS and JTCHF is to have a healthy community. That is sometimes achieved by providing the things that are needed to sustain. Having a change of diapers or clothes will aide in preventing health issues that will develop if those items aren’t available. Your contribution helps! JTCHS and JTCHF’s objective is to have a healthy community. A factor in good health is proper nutrition. The underserved communities that we serve are primarily in food dessert which impact the quality of food that they have access to. Our Nutrition Program provides fresh fruits and vegetables to pediatric patients and families with children. Fresh uncut fruits, fresh uncut vegetables, canned food items, rice, beverage items, bottled water, cutlery, take-out containers, napkins or paper towels. Cash donations are accepted and will be used to purchase items as needed. The Jefferson Reaves House Women’s Residential Substance Abuse Program was developed in 1987 to treat women and women with children who suffer from addictions and other health problems associated with chemical dependence. Since its inception, over 225 babies have been born drug free to clients in the program. Services provided are evidenced – based and include Individual and group treatment programs that use a co-occurring model to address the simultaneous presence of both substance abuse and mental health issues. The program is licensed by the Department of Children & Families and Joint Commission Accredited with treatment capacity of 40 full-time clients and their children under (5) years old. Other services include, outpatient services that are specifically designed to meet the needs of clients seeking treatment as a result of court referrals DUI’s. One of the primary goals of the program is to serve pregnant women in an effort to enable the birth of substance free babies. Who gives to this Program? Individuals, families, corporations, private companies and private foundations may become donors. The program accepts; checks, money orders and other forms of contributions to include; flat screen tv’s, twin size beds, dressers, dinning room tables and chairs, warmers(Industrial), refrigerator, carpet, lobby furniture, computers and computer desks, blinds, chalkboard and piano. The Annual Santa’s Workshop coordinates, seeks donations and distribute toys and gifts to children and families that visit our various centers and to other needy community children and their families. The workshop is a philanthropic project, established to provide neighborhood children with gifts for the holiday season. Our goal is to make the holiday season one to remember for the children and their families through donations. Staff, individuals, families, corporation, private companies and private foundation may become donors. Cash donations will be used to purchase unwrapped new toys, food and clothing for deserving families within our community. 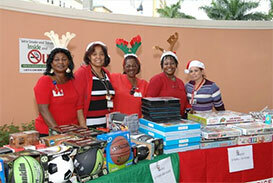 Partner agencies select families within our community and present gifts to each family member within a household. 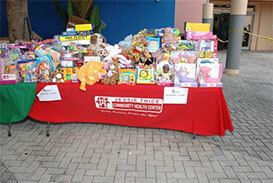 Other partners provide toys and other items for selected age and gender for coordinated distribution. Scholarship Name: Annie R. Neasman Scholarship. Scholarship Recipients: Two (2) per year. Classifications: High School Graduates, University Freshman, University Sophomores, University Juniors, University Seniors, University Graduates. Eligible Schools: Bethune-Cookman University, Florida A & M University. If you are a student attending any of the two eligible schools listed above or high school graduated with application submitted to any of the eligible universities, it is highly recommended that you complete the Annie R. Neasman Scholarship application. This application process nominates at least two applicant students searching for scholarship assistance each year.